UK Pressure Groups - Unit 1 Government & Politics Summary of UK Pressure Groups from Edexecel GCE Government & Politics Unit 1 People & Politics. 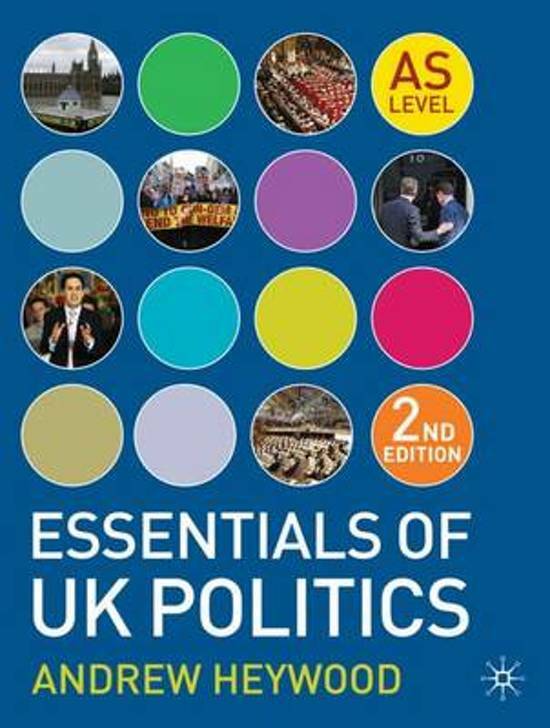 Taken from classroom notes, lectures, Andrew Heywood's "Essentials of UK Politics" & Edexecel Government & Politics Student Unit Guide. Chapter 1: Democracy & Participation This covers all the details in Chapter 1: Democracy & Participation which includes key examples and useful condensed facts as well as essential keywords. Conservative Party Ideology Notes on Conservative Party Ideology, across a number of eras, for PEARSON GCE Government & Politics, Unit 1. Elections Notes on Elections for PEARSON A-Level Government & Politics, Unit 1. Very detailed. Electoral Fraud in the UK Document listing sources for Electoral Fraud in the UK, as part of Government & Politics A-Level (PEARSON).